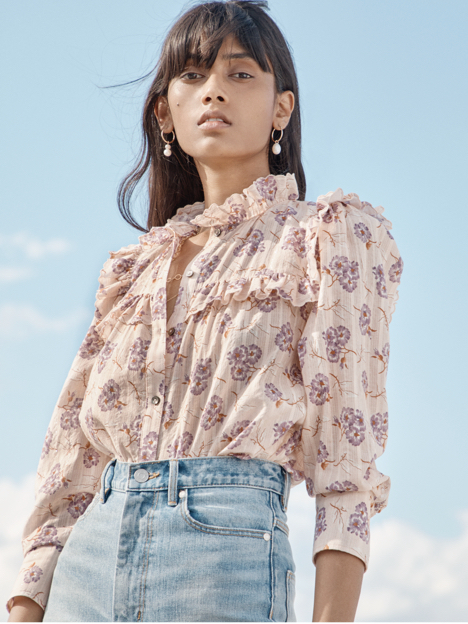 Scattered with black-and-white embroidered flowers, this fluttery short-sleeved top promises elevated style throughout the season. Scattered with black-and-white embroidered flowers, this fluttery short-sleeved top promises elevated style throughout the season. Its ruffled trim and slim ties at the neckline add a feminine twist to its contrasting color scheme.